A STRATEGY to eliminate visa traders and enforce tighter immigration rules will aim to tackle illegal workers entering Bahrain from Bangladesh. The action plan will be drawn up by the Bangladeshi government, which sent a delegation from its Expatriates Welfare and Overseas Employment Ministry to meet officials in Bahrain. Heading the delegation is the ministry’s joint secretary Narayan Barma, who met key officials from the Labour and Social Development Ministry and the Labour Market Regulatory Authority (LMRA). He told the GDN yesterday that a “solid action plan” will be drawn up to reduce an estimated 60,000 illegal workers in Bahrain, majority of whom are Bangladeshi. “We met several senior government officials, who have asked us for a solid plan of action to deal with irregular workers in Bahrain,” said Mr Barma. “This is an issue we face in Bahrain related to illegal workers and we are keen to address this.“Bangladeshi workers are exploited by visa traders and middlemen that needs to stop immediately. 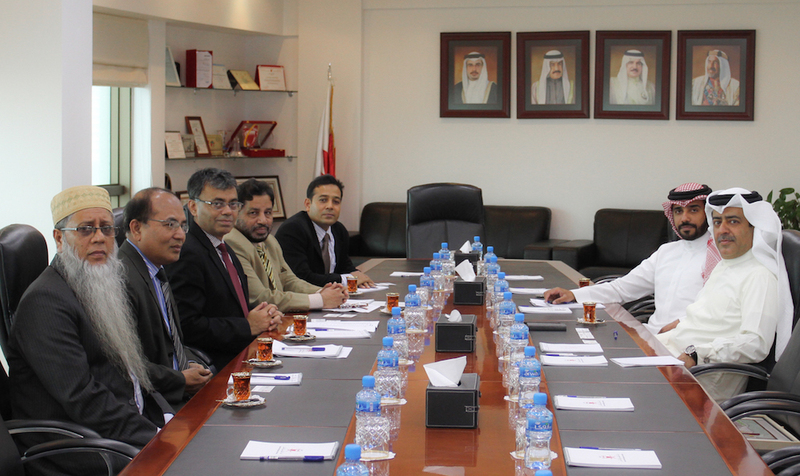 “Our plan of action will deal with the elimination of middleman, tighter immigration rules, and more co-operation with airport staff as well as recruitment agencies to prevent new cases of illegal workers in Bahrain.” The delegation also discussed the issue of illegal Bangladeshis living in Bahrain during a meeting with LMRA chief executive officer Ausamah Al Absi. “We even raised the problem of non-payment of wages related to Bangladeshi nationals to the LMRA official, who said they will soon implement the Wage Protection System (WPS),” added Mr Barma. Under the WPS set for implementation from next month every employer must transfer salaries of their staff into their accounts. The system aims to protect the rights of all employees in the country and also notify authorities if a worker has not been paid through an integrated database. Mr Al Absi, meanwhile, said the meeting with the visiting delegation was successful and pledged to provide assistance to illegal workers to regularise their stay. “We are ready to provide assistance to illegal workers, and offer the flexi-work permit to help them rectify their situation,” he said. “We are issuing a daily average of more than 20 flexi-work permits, and the response so far is good.” The two-year permits cost BD1,169 and include a BD200 work visa, BD144 healthcare fee, a BD30 monthly fee and a one-time deposit of BD90 to ensure travel tickets can be refunded in case recipients wish to return home. The permits are available for expats aged under 60 who do not have regular work permits and are therefore illegal residents. It allows foreigners to work in Bahrain on a freelance basis and is designed to help stamp out the so-called “free visa” market, in which foreigners buy work permits for as much as BD1,500 and then work illegally for other employers The initiative is expected to inject as much as BD56 million into government coffers – money that would otherwise have gone into the illegal visa black market. This entry was posted in Gulf Daily News and tagged Ausama AL Absi, Bangladesh, illegal workers by Labour Market Regulatory Authority. Bookmark the permalink.